Are you fearful about making costly mistakes on your income tax filing and missing out on personal and business income tax deductions? Now you will no longer need to feel worried about expensive errors when it is time to file your income tax return. This tax guide book will provide you with tax help and advice on the most relevant tax strategies and deductions available. You will learn about what to look for when hiring tax preparation services versus doing your own income tax return, find out about interesting tax history, facts & trivia, and get information about what is found on a tax organizer that will help you put together your annual tax documents and reporting information. You will also learn all about income tax deductions and gain access to tax deduction lists for multiple different professions including airline personnel, business professionals, day care providers, direct sellers, educators, firefighters, hairstylists, manicurists, law enforcement officers, long haul truckers and realtors along with a vehicle, travel & entertainment expense worksheet. You will find out about estimated tax payments, tax software, and income tax resolution options that are available should you ever run into an issue. You will also gain insight on how to handle tax liability payments, and get reviews on different accounting & tax software options for doing your own bookkeeping and income tax preparation. 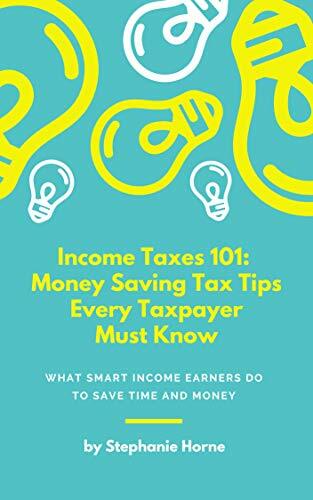 Learn your income tax fundamentals, and get the tax help you need to save time and money on your income taxes with this valuable must have tax playbook.